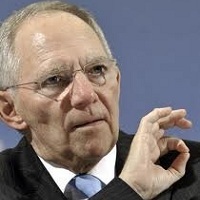 Wolfgang Schäuble has been Federal Minister of Finance since 2009. Member of the German Bundestag since 1972 he served as the Parliamentary Secretary of the CDU/CSU Parliamentary Group from 1981 to 1984. He headed the CDU/CSU Parliamentary Group in the German Bundestag from 1991 until 2000; from 1998 until 2000 he was also the national chairman of the offices of Federal Minister for Special Tasks and Head of the Federal Chancellery, before serving as Federal Minister of the Interior from 1989 to 1991. Dr Schäuble has been a member of the CDU National Executive Committee since 1989. He has been a member of the CDU Presidium since that time. He was the Deputy Head of the CDU/CSU Parliamentary Group in the German Bundestag for Foreign, Security and European Policy from 2002 until he was again appointed Federal Minister of the Interior in 2005. Minister Schäuble studied law and economics and was awarded the degree of Dr. jur. in 1971. 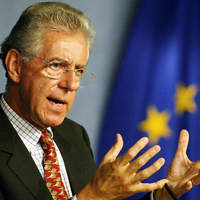 Mario Monti is a prominent Italian economist and current President of Bocconi University. He served twice as European Commissioner, in charge first of the Internal Market, Financial Services and Taxation and then of Competition. He was Prime Minister of Italy from 2011 to 2013, leading a government of national unity in the wake of the Italian debt crisis. Author, for the Barroso Commission, of the "Report on the Future of the Single Market" putting forward 12 reforms intended to "give new momentum" to the European economy. Prof. Monti has received numerous academic and civil distinctions among which we can cite honorary degrees from, among others, the University of Padova, Leipzig University and Sciences Po, Paris. President Giorgio Napolitano appointed him as senator for life for outstanding achievements in science and society. Bernadette Ségol is the elected General Secretary of the European Trade Union Confederation (ETUC) since the Athens Congress, which took place in 2011. She was leader of UNI Europa, the European trade union federation for services and communication for three consecutive mandates from 2000 to 2010. She was working as Director at Euro-FIET (commerce, finance, IT and other services) in Brussels and she was Member of the ETUC Executive Committee and Steering Committee till 2011. Bernadette Ségol has actively been involved in the process of re-regulation of the finance sector, fighting financial capitalism (private equity and hedge funds) and she has supported the creation of over 200 European Works Councils. Auditing of Deloitte Netherlands and as a member of Deloitte Touche Tohmatsu Global Assurance Leadership Team.Strength from cultural diversity is a Deloitte shared value. 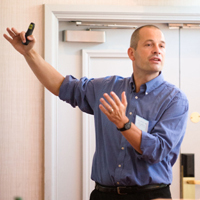 Dassen is author of several textbooks on auditing in English, Mandarin and Dutch, and has published a significant number of academic and professional articles. Dassen is an honorary professor of auditing at the University of Maastricht and a full professor of auditing at the Free University of Amsterdam. He is a Dutch CPA, has a master's degree in economics and business administration, and a PhD in business and economics from the University of Maastricht. Professor Jörg Monar is Rector of the College of Europe (Bruges/Natolin, Warsaw) since 1 September 2013. His previous positions include Director of the Department of Political and Administrative Studies of the College of Europe (2008-2013), Professor of Contemporary European Studies and Co-Director of the Sussex European Institute, University of Sussex (Brighton, UK), Director of the SECURINT Research project on EU internal security governance and Professor at the Robert-Schuman-University (Strasbourg, France) and Professor of Politics and Director of the Centre for European Politics and Institutions Professor of Politics (Leicester, UK). Professor Monar has done advisory/consultancy work for the European Parliament, the European Commission and several European governments (UK,DE, FR, NL). Professor Monar holds a Doctorate in Modern History from the University of Munich and a Doctorate in Political and Social Sciences from the European University Institute, Florence. His over 200 publications relate mainly to European Union justice and home affairs and external relations as well as the institutional development of the Union. Minister Plenipotentiary in the Cyprus Ministry of Foreign Affairs and in the private sector as Secretary General of the Cyprus Shipping Council. He was also Advisor to the Cyprus Chief Negotiator during the negotiations of Cyprus for accession to the EU. He has acted as consultant to a number of public authorities in various EU Member States and to international institutions and organisations such as the European Commission, the European Investment Fund, the European Economic and Social Committee, the OECD and the UN. 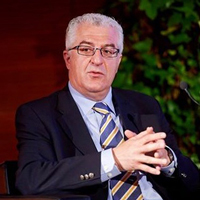 Prof. Nicolaides held academic positions at the London Business School, the Royal Institute of International Affairs (London) and the European Institute of Public Administration (Maastricht) and he holds a PhD in economics and in law. 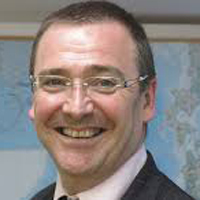 Graham Robert Watson is a Member of the European Parliament since 2004 where he sits on the Foreign Affairs Committee. He is President of the European Liberal Democrat and Reform Party since 2011. In his parliamentary career he has chaired the European Parliament's Committee on Justice and Home Affairs, Citizens' Rights and Freedoms (1999-2001) and has led Parliament's Liberal Democrat Group (2002-09). He is a member of the European Parliament's delegations to China and India, the latter of which he chairs. 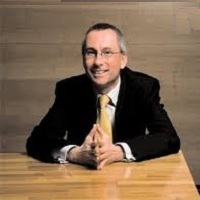 Beyond Parliament, Graham is chairman of the global e-Parliament. He has published many books including 'Building a Liberal Europe' (John Harper, 2010). He was knighted in 2011. He holds a BA honours degree in Modern Languages from Heriot-Watt University and is a qualified interpreter and translator. 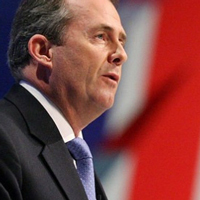 Liam Fox is Member of the UK Parliament for North Somerset and former British Secretary of State for Defense. He is a top member of the British Conservative party. Before being elected as an MP in 1992, he studied medicine at the University of Glasgow and worked as a General Practitioner in Nailsea and as a Civilian Army Medical Officer. After holding several ministerial roles in John Major's Conservative government, Dr. Fox served as Constitutions Affairs Spokesman (1998–1999), Shadow Health Secretary (1999–2003), Conservative Party chairman (2003–05), Shadow Foreign Secretary (2005) and Shadow Defense Secretary (2005–10). In 2010, Dr. Liam Fox was appointed Secretary of State for Defense, a position from which he resigned on 14 October 2011. Mr. Fox's sphere of concerns are: UK's future relationship with the EU, options for reducing budget deficit and stimulating growth in the economy. In 2012, he has founded a charity called Give Us Time. He is also a patron of a large number of local organizations and charities. Adrian van den Hoven joined the European Generic medicines Association (EGA) in September 2013 as Director General. As EGA Director General, he works to strengthen the competitiveness of Europe’s generic and biosimilar medicines industries and to increase access to high quality and pro-competitive medicines for patients while contributing to the sustainability of member state healthcare budgets. Prior to this function at the EGA, Adrian van den Hoven was Deputy-Director General of BUSINESSEUROPE where he was responsible for the International Relations department, covering trade negotiations and bilateral relations, and the Industry department, covering industrial, energy, environmental and research policy. He previously worked as an International Relations researcher and an adjunct professor in Italy (EUI), France (Nice) and Canada (Windsor). He obtained his doctorate in Political Science from the University of Nice, France in 2000. 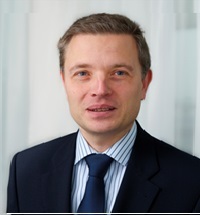 Alexandre Affre is Director at BUSINESSEUROPE, the confederation of European industry, since September 2013. Mr. Affre is responsible for the overall policy coordination on energy, environment, industrial policy and research & innovation. He played a major role in the political discussions leading up to the adoption of the Industrial Emissions Directive and the Energy Efficiency Directive. More recently, he coordinated BUSINESSEUROPE’s vision on a 2030 framework for energy and climate policies. Alexandre Affre is a trained scientist and holds a Master in Ecology from the Université Pierre et Marie Curie. 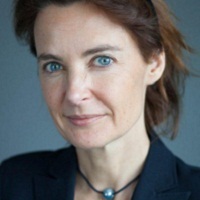 Amaryllis Verhoeven is in charge of the Task Force Single Market Advice and SOLVIT (DG Internal Market and Services). SOLVIT is an on-line problem solving network in which more than 60 legal experts from across the 28 EU Member States work together to solve problems with a cross-border element that are due to the misapplication of EU law by public authorities within the EU Member States. Amaryllis Verhoeven graduated in Law at the Katholieke Universiteit Leuven (KUL) and pursued a LL.M. in Harvard Law School of Boston. Her centers of interest are constitutional and federal law and political philosophy. 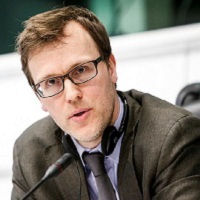 Jacques Pelkmans is Senior Research Fellow at the Centre for European Policy Studies (CEPS). He is Professor at the College of Europe in Bruges and from 2001 to 2012 he was Director of the Department of European Economic Studies in the same institute. Between 2001 and 2007, he was Council Member of the WRR, the independent think-tank attached to the Dutch Prime Minister. He is former Research Director at the European Institute for Asian Studies in Brussels, after setting up the institute. He has worked for and published with the Council on Foreign Relations (New York) and the Royal Institute of International Affairs (London) and served as consultant to the OECD, UNIDO, UNDP, UNCTAD, ASEAN, the World Bank and the European Commission. His current research interests include liberalisation and regulation of network industries in the EU single market and more efficient and goal-driven EU regulation. Guido Lobrano is Senior Adviser on Internal market and Legal Affairs at BUSINESSROPE, the federation of European industry, since 2008. 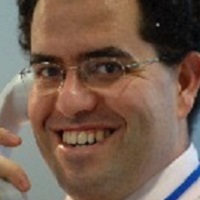 He is the coordinator for single market policy and is in charge of the Digital Agenda. He is also in charge of competition policy and state aid. He worked as an external expert for the European Economic and Social Committee and is lecturer of EU law at the University of Sassari (Italy). Before joining BUSINESSEUROPE, Mr Lobrano worked as a lawyer in the US, France, Italy and Brussels for international law firms specialised in EU law. He holds Master’s degrees from the University of Sassari and from the Free university of Brussels (ULB) and obtained an Erasmus diploma from the University of Vienna. 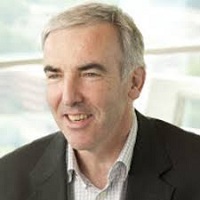 Richard Doherty is partner at Deloitte and Public Sector industry leader for Europe, the Middle East and Africa (EMEA). He has worked in EU affairs since 1984 and his experience covers vast areas of EU policy, with specific expertise in economic, trade and business policy, social affairs and development aid. He is a lead client service partner for European institutions and has expertise with internal reform of large organizations. He studied at the Trinity College in Dublin and at the London School of Economics and Political Science and before joining Deloitte in 1992 he served as Secretary General of the European Youth Forum. Born in 1970, Román Arjona studied Economics at the University of Valencia, where he graduated with a special distinction. He holds a Masters' degree in European Economic Studies from the College of Europe in Bruges and a PhD in Economics from the European University Institute in Florence. He worked for the European Investment Bank and the International Monetary Fund, and for the OECD as Economist. 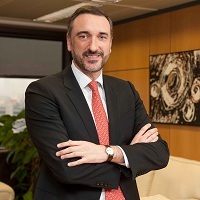 He was Adviser to the Spanish State Secretary and the Spanish Minister for Science and Technology before joining the Directorate-General for Research of the European Commission. In January 2012 he was appointed to the Spanish Government as Secretary-General for Science, Technology and Innovation. 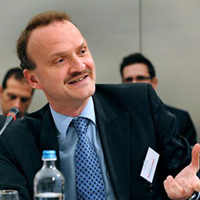 He is now Chief Economist at the Directorate-General for Research and Innovation of the European Commission. Prof Dr. Reinhilde Veugelers is a full professor at KU Leuven at the Department of Management, Strategy and Innovation. 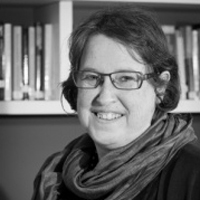 She is a Senior Fellow at Bruegel, CEPR Research Fellow and member of the Royal Flemish Academy of Belgium for Sciences. 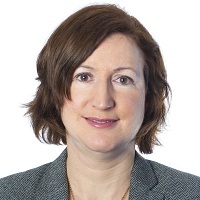 She currently serves on the ERC Scientific Council and is a member of the Innovation4Growth Expert Group advising EU Commissioner for Research and Innovation. 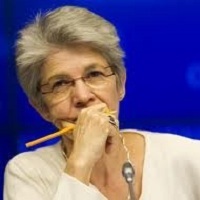 From 2004 to 2008 she was advisor at the European Commission (BEPA Bureau of European Policy Analysis) and she served as President-Elect of EARIE (European Association for Research in Industrial Economics). Bonifacio Garcia Porras entered the European Commission in 2000 where he worked on the liberalization of energy markets. In 2003, he joined the Cabinet of Vice-President Loyola de Palacio and subsequently the Cabinet of Commissioner Andris Piebalgs until 2010, where he had the opportunity to work on the energy and climate change legislative package. Bonifacio had been a practising EC lawyer for seven years prior to joining the European Commission, having studied at the College of Europe (Law) in 1992-1993 (Charles IV Promotion)..
Guido Vandervorst is Managing Partner for Enterprise Risk Services in Deloitte Belgium, a division of about 280 professionals that provides Innovation Services to clients in all industries. Guido is a member of the Deloitte Belgium Executive responsible for Innovation, including all innovation initiatives within the Belgium firm and for its clients, focused on the 4 key pillars of Innovation: Culture, Driving efficiency through use of Technology, New Services and Business Model innovation. Under Guido’s leadership, Deloitte Belgium will launch a Deloitte Innovation Centre at the end of April 2014 aimed at helping technology start-ups in the space of Analytics, Digital, Cyber and Mobility. 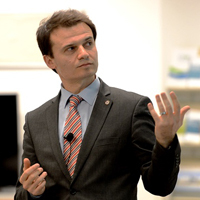 Lucian Cernat is the Chief Trade Economist of the European Commission (DG Trade). Until 2008, he held various positions at the United Nations in Geneva dealing with trade and development issues. He has authored more than 20 publications in different fields. Prior to his UN experience, he has been a trade diplomat with the Romanian Ministry of Foreign Affairs, and part of the negotiating team of bilateral FTAs with the EuroMed area and Baltic countries, preceding Romania's accession to the EU. Lucian Cernat obtained a PhD from University of Manchester and a postgraduate diploma from Oxford University. Tom Jenkins joined the International Department of the Trades Union Congress in Britain in 1973. He became Head of the TUC Europe Unit in 1994, and Secretary for EU & International Relations in 1999. He was seconded to the Foreign and Commonwealth Office in 1979-1980, where he served as Deputy International Labour Adviser. In October 2003, he joined the European Trade Union Confederation as the Senior Adviser to the General Secretary. His responsibilities include the coordination of the ETUC's work in the external relations and trade fields. He is currently Chair of the Domestic Advisory Group set up under the EU-Korea FTA, and co-chair of the joint Civil Society Forum.He is an Honorary Member of the Franco-British Council, of which he has been a Trustee. He was appointed Officer of the Order of the British Empire in 2000 for services to industrial relations in the European Union. 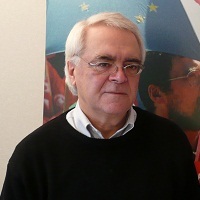 Pascal Kerneis is Managing Director of ESF since 1999. He worked as a Legal Expert in the European Commission before joining the European Banking Federation, where he dealt with international affairs. 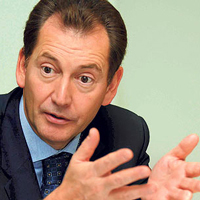 He was special adviser to BusinessEurope for international trade from 2010 to 2012. Mr Kerneis is a member of the Contact Group of the Directorate General for Trade of the European Commission. More recently, he has been appointed member of Commission’s Advisory Group for the Transatlantic Trade and Investment Partnership (TTIP) between the EU and the United States. He is author of articles on trade in services related issues in various publications. Pascal Kerneis has a PhD in European law. 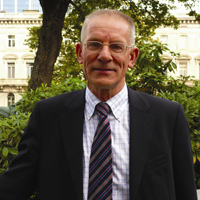 Jo Van Biesebroeck, Professor of Economics, University of Leuven (Belgium); Research Affiliate, CEPR (UK). 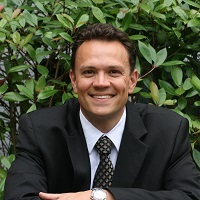 He obtained his Ph.D. in economics from Stanford University in 2001 and worked until 2008 at the University of Toronto. He specializes in the areas of industrial organization, international trade, and development economics. His work on the automotive industry includes studies on the adoption of flexible technology, the automotive value chain, interaction between innovation and market structure, strategic trade liberalization, and outsourcing to low-wage countries. His work on international trade is increasingly focused on the Chinese economy and the impact of trade liberalization and quality upgrading by exporters. He has advised the Canadian and Flemish governments on trade and industrial policy issues and in 2009 he was awarded a European ERC grant. Christiane Cunningham is European Regulatory Affairs Director at Deloitte. Her areas of focus are audit, corporate/financial reporting and governance and data security issues, as well as broader economic policy issues. Prior to this role, Christiane was partner at the law firm Laga in Brussels, working in the fields of corporate and commercial law and regulatory affairs. She studied at the Université Catholique de Louvain (UCL) and qualified at the Brussels Bar.